You might remember a few weeks ago I published an article about battling cellulite, well since then a new product has launched in the fight against cellulite. 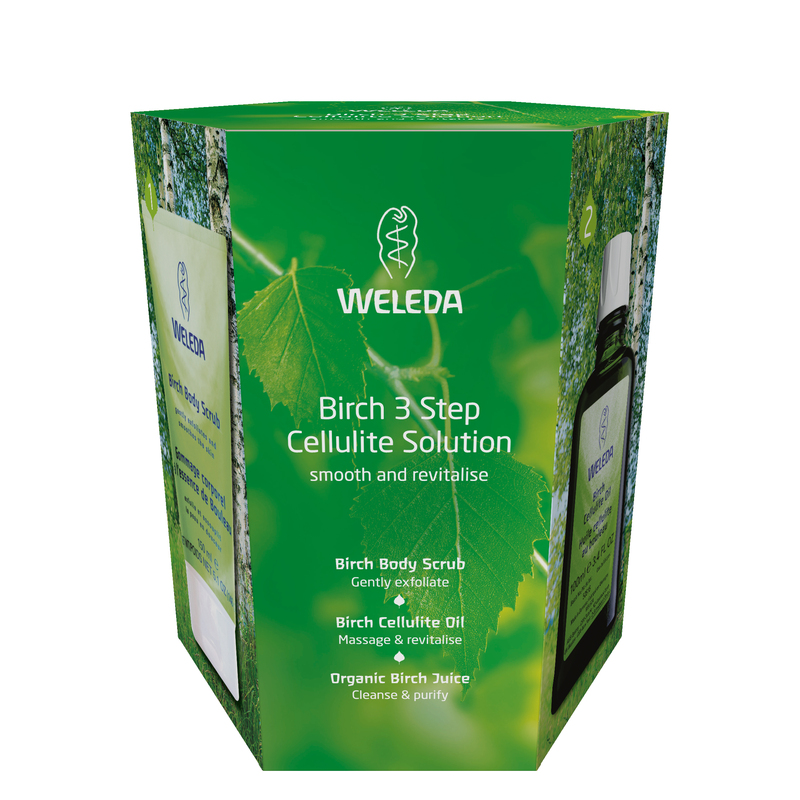 Weleda’s new 3 Step Cellulite Solution Pack brings you one step closer to smoother thighs and healthier looking skin. Weleda Birch Body Scrub – Gently exfoliates and smoothes skin. When used regularly, Weleda Birch Body Scrub may help to reduce the signs of cellulite – leaving skin feeling silky, cleansed and ready to receive oils and lotions. The scrub contains Organic Birch, Beeswax, Carnauba wax and Castor-oil plant wax, which together create soft wax pearls that not only detoxify the skin but replenish and support the skin’s natural regeneration process. • Organic Birch oil – well known for its purifying and detoxifying effects. • Organic Rosemary Leaves – assists to stimulate circulation and metabolism. • Organic Ruscus – provides anti-inflammatory and diuretic effects. • Apricot Kernel Oil – included as a rich source of fatty acids. • Wheatgerm Oil – high in skin soothing Vitamin E.
• Jojoba Oil – nourishes and keeps skin smooth and supple. Massaging troublesome areas with Weleda Birch Cellulite Oil can help to smooth skin and reduce the appearance of cellulite. While diet and exercise can help diminish cellulite, a large part of the condition is due to the toxins and fat that accrues within the body. The lymphatic system that controls the body’s waste removal system and fat metabolism can be stimulated by drinking lots of water to flush out toxins. Adding Weleda Birch Juice, as a lymphatic cleanser, will detoxify the system and leave skin looking clear and healthy. Weleda Birch Juice has the authentic taste of birch and a touch of biodynamically grown lemon juice. A tablespoon of this juice added to a glass of water (up to three times daily for three to six weeks) is recommended for best results.